Dallas Atkins is an elder care attorney. She helps seniors and their loved ones plan for long term care, quality of life, autonomy, and asset preservation. Her work includes Medi-Cal estate planning, Medi-Cal applications for nursing home benefits, court petitions to preserve the assets and income of couples with a spouse in a nursing home, VA pensions for Aid and Attendance benefits for home care and assisted living care, estate planning documents geared towards long term care planning, revocable and irrevocable trusts, protection of the home without endangering public benefits, nursing home admissions and contracts, and special needs trusts. Dallas assists seniors, elders, persons with disabilities, and their families prepare for and meet the challenges of aging, disability, and incapacity. The focus of her practice is planning and problem solving to maximize legal and financial options for quality care at home, in the community, in assisted living facilities, and in skilled nursing facilities. Aging well in place by finding, getting, and paying for quality care is a major goal of her work. She values ensuring quality care across the life span, not protecting wealth to the exclusion of the elder’s quality of life. The Section Head of the Elder Law Section of the Santa Barbara County Bar Association in 2003 and 2004, Dallas is a member of the National Academy of Elder Law Attorneys (NAELA), the Academy of Special Needs Planners, ElderCounsel, and the Life Care Planning Law Firms Association. She is a frequent contributor to professional journals and other publications. 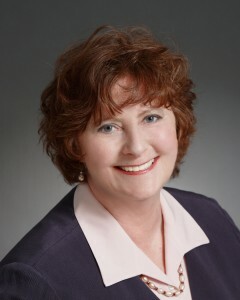 A dynamic and popular speaker, she has presented seminars before community groups, elder care organizations, UCSB, the Omega Program of SBCC Adult Education Department, the Santa Barbara County Bar Association, law firms, training conferences for tax professionals and lawyers, and other public and private organizations and events. A graduate of Bryn Mawr College (A.B. 1970), Villanova University School of Law (J.D. 1975), and University of California, Santa Barbara (M.A. in Counseling Psychology 1988), she was admitted to the California State Bar in 1977. She practiced as a legal aid attorney and then a private adoption attorney prior to finding elder law in 1999. She became licensed as a Marriage and Family Therapist in 1991 and continues to enjoy the integration of psychology and law through her elder law and special needs practice.